The official podcast of Kabooooom.com. We review, rant, and rave about comics, movies, TV and all they inspire. We're just like you... except we have a website - and now, a podcast! Kabooooom! Goes The Podcast is the official podcast of Kabooooom.com. In this episode, Sarah, Matt, and Roy chat about Justice League, what its failure means for the future of the DC Extended Universe, and what can be learned from the Marvel Cinematic Universe. Kabooooom! 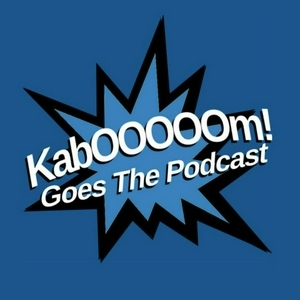 Goes The Podcast is the official podcast of Kabooooom.com. In this episode, Sarah and Matt continue their discussion of DC Comics Rebirth -- has it achieved what it set out to do?